An automaker’s connection to the customer and vehicle could give it pieces of the customer value chain beyond the vehicle purchase and financing, based on a presentation last week from Ford connectivity and emerging services global director Mike Tinskey. Tinskey told a Thursday TU-Automotive webinar on OEMs and usage-based insurance (a term which can mean using telematics to set premiums based on miles driven or driving behavior) that Ford was seeing opportunities for change and disruption. The value chain of an F-150 could see a customer who bought a $40,000 truck spending more than $7,000 annually on factors like financing ($960), insurance ($1,890) gas ($2,000), parking and tolls ($1,650), mechanical repairs and parts ($1,150), and drive-through payments ($400), Tinskey said, citing Edmunds data. Tinskey said the number of embedded modems in Ford vehicles “will continue to increase very quickly,” and a modem in the example F-150 could change spending for every one of those items, “and insurance is no exception.” The implication seemed to be that the OEM could capture a cut of that $7,000 by facilitating such transactions with a connected car. 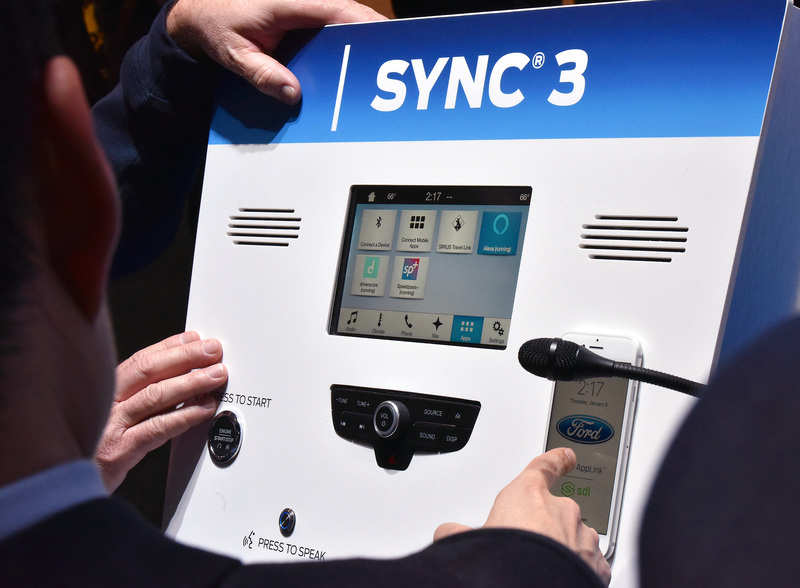 Ford in March announced that it would by 2019 deliver “standard connectivity on new vehicles, paving the way for over-the-air updates and the Transportation Mobility Cloud, an open platform that will empower tomorrow’s mobility systems.” It also that month announced an OBD-II plugin offering limited connectivity to older cars for $16.99 a month, with an option to upgrade it to a 4G LTE Wi-Fi hotspot through Verizon. 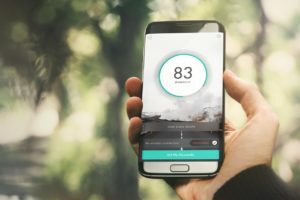 In January 2017, it announced its DriverScore technology for cars with SYNC 3 could let consumers share the data with carriers for discounts. 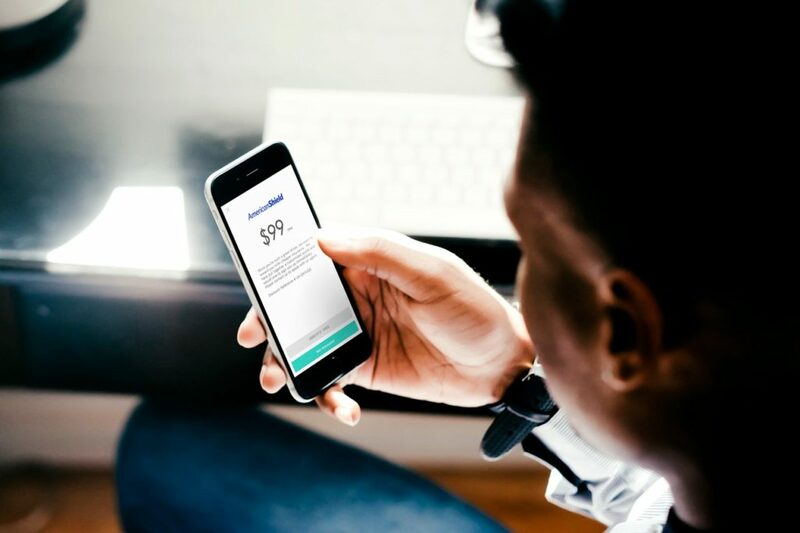 This connectivity also has the potential to change how consumers buy insurance and what they pay for it, according to Tinskey and co-presenter Chris Wiklund, senior product manager of connected car services for Allstate telematics spinoff Arity. The trends and predictions they described Thursday could have major ramifications on collision repair. Connected cars and usage-based insurance open the door for OEMs and insurers to detect a crash and recommend their at times competing networks immediately. Closer insurer-OEM partnerships could also render the DRPs of competing carriers less valuable. Usage-based insurance can weed out bad drivers who would generate more collision business — and the telematics can actually be used to improve driver behavior. Arity projects the proportion of households with a connected car would in the next five years match the high degree of saturation seen today by smartphones, he said. For an insurer, even a single connected car should yield enough data “to start with” about the risk of policies for the household, according to Wiklund. “We need to start looking at connected car data now,” he said. Consumer Reports data shows satisfaction with ADAS, according to Tinskey, and “we are beginning our journey” to quantify the impact of ADAS, he said. Ford has begun to test vehicles with and without ADAS safety systems, and the frequency and severity data so far “are encouraging,” with claims data starting to show the same result, Tinskey said. Within the next year or two, the impact should be apparent, he said. He also predicted that drowsiness sensors would move to lower-end vehicles. (He didn’t elaborate, but the technology can refer to systems able to monitor drivers with an interior camera or the vehicle’s behavior on the road to detect the owner is nodding off.) Biometrics which can actually monitor driver health signs (such as pulse, blood pressure or temperature) are being introduced on higher-end cars and will “eventually” go mass market, he predicted. However, Wiklund argued that OEMs embedding connectivity would add value to existing insurer connected devices, such as a smartphone app or OBD-II dongle, rather than replace them in the near-term. A carrier would use both the OEM and aftermarket options. An insurer partnering with an OEM also might be cheaper than relying on advertising, Tinskey suggested, presenting data from S&P Global Market Intelligence and J.D. Power that showed companies spending millions on ads to in some cases capture a small customer yield. (GEICO, for example, spent $1.34 billion in 2015 but puled in a Top 5-leading 7.6 percent yield rate. Nationwide, meanwhile, spent $359 million on ads but only saw a new auto customer yield rate of 1.8 percent.) He said Ford’s heard it costs in the $700 range for one insurer to convince a customer to switch carriers, and data suggests $3-$4 billion a year was spent on insurance ads. Insurance could instead be offered “either pre or post” at the time a customer bought a new vehicle — a tactic that’s already in place in Europe and China, and with regulatory tweaks could be modified to UBI in those countries, Tinskey said. Almost everyone in the “Ford world” buys Chinese insurance policies, at the point of vehicle purchase with a 12-month pre-pay of the $1,000 average annual cost, he said. “It’s a very different arrangement,” he said. He predicted the model would shift to dealership insurance sales for Ford and other OEMs in the U.S. as well. Wiklund said data rights, ownerships, and opting in must be addressed, but predicted the success of the program would come down to the consumer seeing the value proposition of sharing data. If the exchange was transparent and fair, they’d accept it, he said. Wiklund said the usage-based insurance utilization is about 4 percent, while Tinskey predicted about 10 percent of policyholders opted in to UBI. Tinskey said new policyholders were increasing the opt-in rate, and some insurers are seeing a “very high double-digit conversion” to usage-based insurance. He predicted the industry would reach a point soon where not sharing data with a UBI program would mean higher premiums.